Fossils helps you clean up old and unused files from your computer. 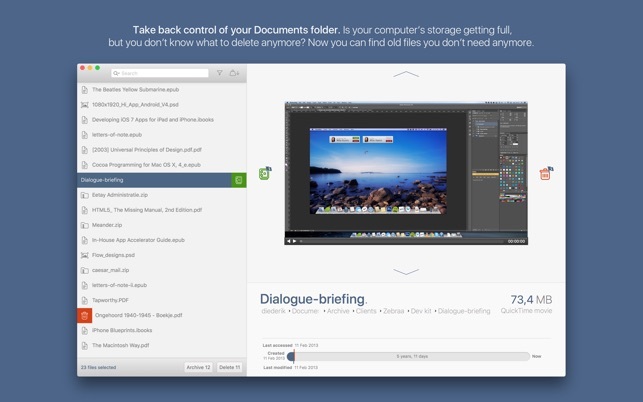 Quickly browse through your old stuff and preview the file’s contents. 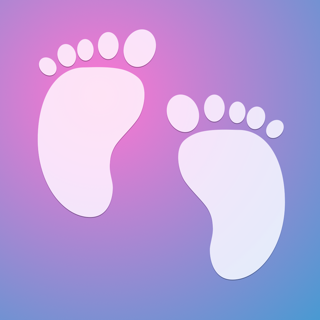 Decide if you want to archive or delete using easy to use keyboard shortcuts. Is your computer’s storage getting full but you don’t know what to delete anymore? Now you can find old files you don’t need anymore. Conveniently browse your documents and decide if you want to delete or archive the document. 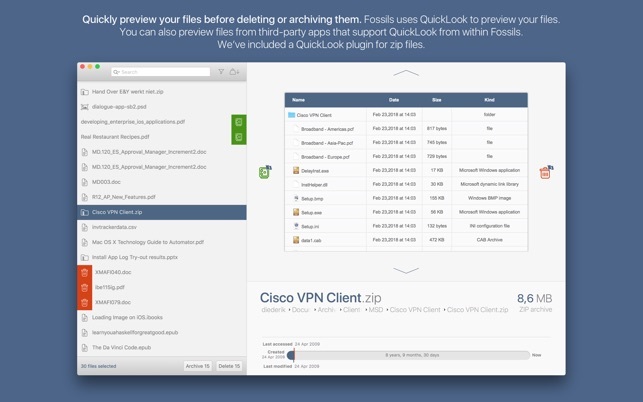 Fossils uses QuickLook to preview your files. 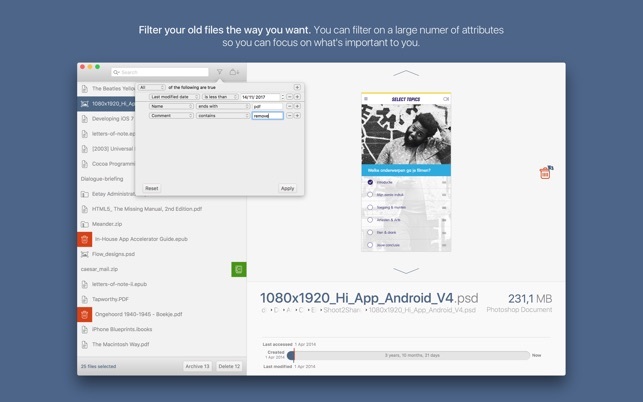 This means that you can also preview files from third-party apps that support QuickLook from within Fossils. We’ve included a QuickLook plugin for zip files that also works in Finder. Fossils supports previewing a large number of file types: image, movies, documents (PDF, Word, Pages, Excel, Numbers, Keynote, ...), zip files, and more. - Fixed an issue with archiving file for the first time.